THERE ARE SIX EPIC SKI DESTINATIONS WITHIN 90 MINUTES OF RANCHO JACONA. 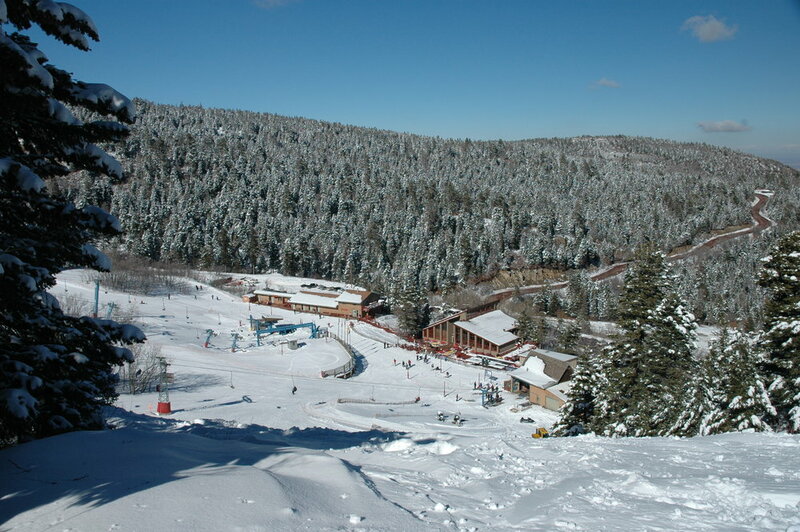 Six ski resorts within 90 minutes of Rancho Jacona. Three nights for the price of two in February. Come get your powder on! 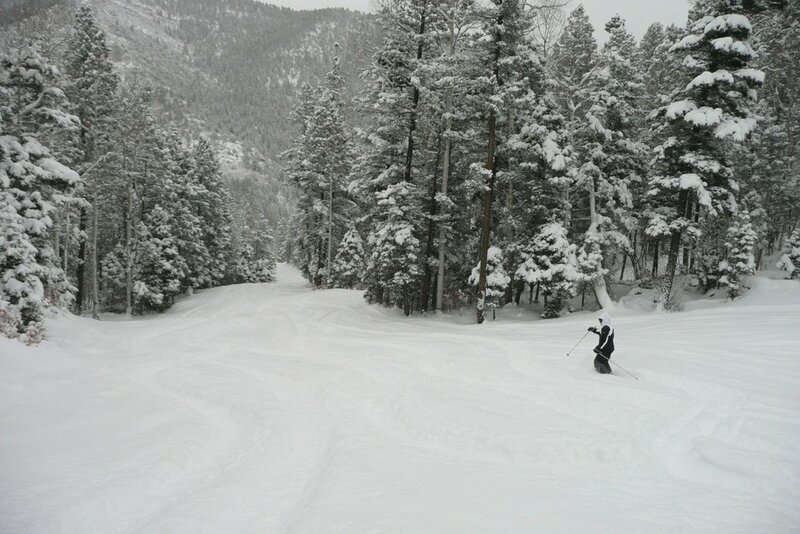 "Only 25 mins from downtown Santa Fe, it can seem like your personal ski resort on the weekdays. Green and blue ski runs are well groomed, and there are many tree runs, and some quite tough black diamond runs as well. Restaurant is mid-mountain very close to the upper terrain lifts. Staff is super-friendly, and lifts rarely have a line. Tops out at 12,000ft, so the snow stays late into the season." "It is a paradise for intermediate and advanced skiers. The hill has many blue and black runs. The hills steepest run Breathless, has a 29° pitch making it one of the steepest runs in NM. During the holidays, it is perfect because it has no lift lines unlike Taos and Santa Fe. Highly Recommended." "When I have been there, the conditions have been great but I went only a day or two after winter storms. The lifts can be a little slow. My wife has taken lessons and the instructors were awesome. They separated adults and children by skill level and really took their time explaining the basics to beginners. I was extremely impressed with how much she improved and her technique with a few lessons."